Cute card, isn't it? I saw a design layout on Pinterest that I liked and added my own touch to this card. How fun would it be to receive this card in the mail?! 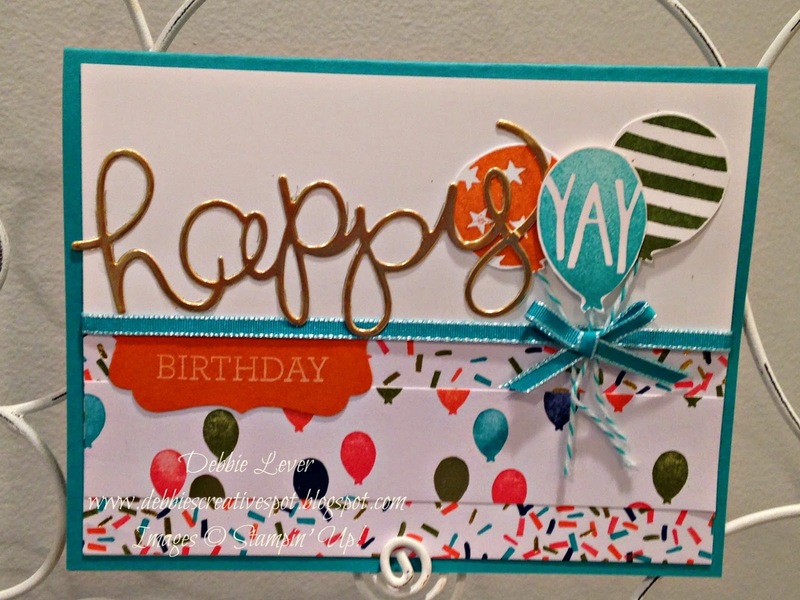 I used the Balloon Bash Stamp Set, Birthday Bash Specialty Designer Series Paper, Hello You Thinlits Dies and the Crazy About You stamp set.